Do you need a colon cleanse? Maybe. Consider this surprising fact; the United States FDA standards allow 10 fruit fly eggs and 2 maggot eggs in one cup of orange juice. 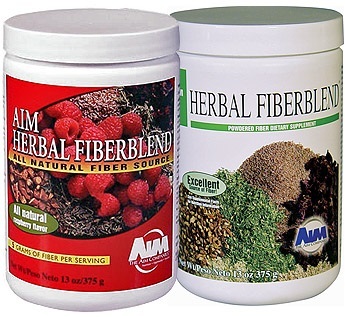 Herbal Fiberblend is the First and Only Choice for an at-home Colon Cleanse. It works for 95% of my clients and, when used with a healthy diet, supports the body's organs and systems naturally used for cleansing and detoxification. Sadly, the widely overlooked fact is that most of us don't consume one serving of a food with the above ingredients. In fact in a normal day, many of us consume at least 5-10 times any tested amount of chemicals, because nearly everything we eat contains some amount of processing or pesticides. The human body is made to deal with contaminates of all sorts. The fact that your food may contain something harmful or gross-sounding doesn't mean you should stop eating. If you evaluated every food that you consume, you would find many potential unfriendlies. But don't stress. Your body is made to cleanse and detoxify. It is a natural process to help it with a colon cleanse. Just as we help the body grow by eating healthy foods for nutrition, it is perfectly natural to help the body with herbs and fibers to keep the inside healthy. Many cultures throughout the centuries have eaten herbs to help their bodies cleanse. It is also natural to consume herbs for parasite control. All animal bodies (including mammals) are prone to parasite infections - it is a natural in nature. Just because we live in a modern society doesn't eliminate the fact that even as humans, we are mammals. It is very natural to use a this type of cleanse, a parasite cleanse or a body detox program to assist your body in removing chemical residues. When we do not, the toxins often are stored as the body becomes more overwhelmed and cannot function at its best. Just as we eat to consume nutrition that is beneficial for our hair, skin or heart, we can consume nutrition that supports our body's natural systems of detoxification and cleansing.